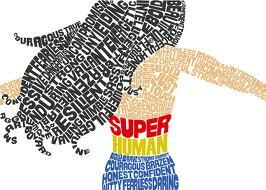 What if at times it is too much and even Superwoman needs a hero? What if sometimes even the strongest tower collapses? What if sometimes the world spins? Are you coming or going? What if faking it or decorating things actually makes matters worse? What if even Atlas’ shoulders at some time dislocated? “Don’t worry” they say as they walk, his hand never reciprocated. What if asking for help, always somehow got you in to trouble? They say “you’re dysfunctional, useless”, would trip you up make you tumble. What if our experiences, our stories created who we are? But every day we worked with lessons given to help take us and others far. What if everyone just let go, let themselves be, lived more legit? What if all those voices chattering in your head were more than just yours? And were your unconscious thoughts or guardians reminding you to be and do more. At times you get weak, feeling like a battle against yourself, against the world. Just know it’s okay because inside of EVERY Superwoman, there is a little girl.